The myriad attractions of the Costa Blanca's beach resorts hardly need elaboration, as everybody can understand the appeal of gorgeous beaches, turquoise Mediterranean waters, white sand and a rollicking nightlife. Those intent on doing some actual sightseeing in the region should explore some of the more authentic villages just inland, some of which host weekly craft markets. Of the famous resorts the charming Altea is the least commercial and the best place to get a taste of real local culture. Altea has a renowned craft market every Tuesday, between April and September, and La Nuncia, just north of Altea, has a good Sunday market. 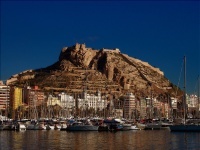 Tourists wanting some culture should also take advantage of Alicante's historical attractions. 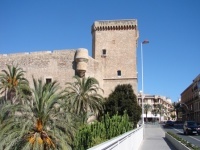 The formidable Moorish Castell de Santa Barbara looms over Alicante and visitors can explore some of the tunnels, dungeons, towers and chambers that make up the impressive fortress. 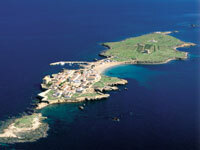 The tiny, picturesque Isla Tabarca, is a popular excursion from Alicante, and the city of Elche, inland from Alicante, is also an interesting excursion, containing Europe's only palm forest. 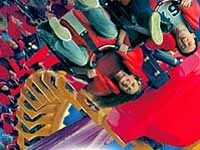 For amusement park thrills and spills, instead of culture, head to Spain's largest theme park, Terra Mitica, just outside of Benidorm. We are looking for contributors for our Costa Blanca travel guide. If you are a local, a regular traveller to Costa Blanca or a travel professional with time to contribute and answer occasional forum questions, please contact us.